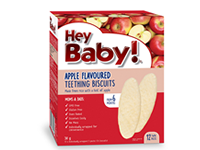 Hey Baby! 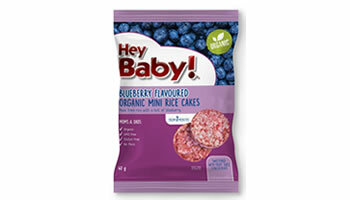 Organic Mini Rice Cakes are a perfect tasty treat for baby to relieve those aching gums and to fill a hungry tummy. So why not try our yummy, light and convenient snacks. They are easy to hold, easy to eat and easy to digest. GMO Free – Gluten Free – No Mess. Made from rice with a hint of apple and mango. 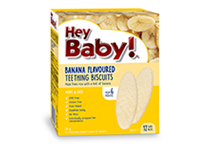 Hey Baby! 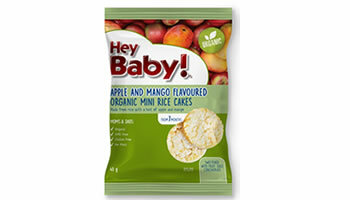 Organic Mini Rice Cakes are a perfect tasty treat for baby to relieve those aching gums and to fill a hungry tummy. So why not try our yummy, light and convenient snacks. They are easy to hold, easy to eat and easy to digest. GMO Free – Gluten Free – No Mess. 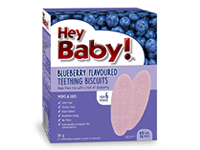 Made from rice with a hint of blueberry.